It's been a long road, but Amy Ray and Emily Saliers have traveled it together since they were kids. 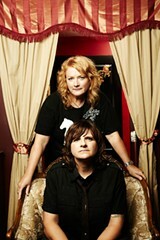 The now-iconic Georgia-raised folk-rock musicians first met in elementary school, began performing music together in middle school and finally became the Indigo Girls while attending Emory University. Their 30-year friendship has nurtured a fertile creative collaboration, one that has produced 14 studio records (one of them a double platinum), a 25-year tour history, and seven Grammy nods (with one win). All grown up now, Ray and Saliers have each taken on side projects—Ray has a successful solo career and Saliers is a restaurateur and author; both have young children and are active in a number of causes—but they continue to feed the project that started it all. Ray talked with the Source on a break between tours about her new country album, her fans and how she manages to balance it all. Typically, Ray's solo albums have been solidly rock. But for her fifth studio album—Goodnight Tender, released this year on her label Daemon Records—she finally delved into a genre she'd long meant to explore. "It's traditional country," Ray says, "a cross between mountain music, gospel, and honky-tonk. It's been in the works for 10 years. I'd done all the rock I wanted to do." She says that once the pieces fell into place, she recorded the entire album, live, in a week. Where Ray's previous albums have explored personal and political themes, Goodnight Tender takes a broader approach, tackling universal topics that are more widely relatable—grief, loneliness, even faith. While Goodnight Tender channels classic country musicians, Ray's work on the next Indigo Girls album draws inspiration from less conventional sources. Instead of other musicians, she says her writing (Ray and Saliers split the storytelling responsibilities) is finding its muse in music, books and television shows. "I finished a song recently that's inspired by 'Friday Night Lights,' of all things," Ray says. "It's not about football," she adds, laughing. "That show has a specific feel about it. I've watched the whole series twice." 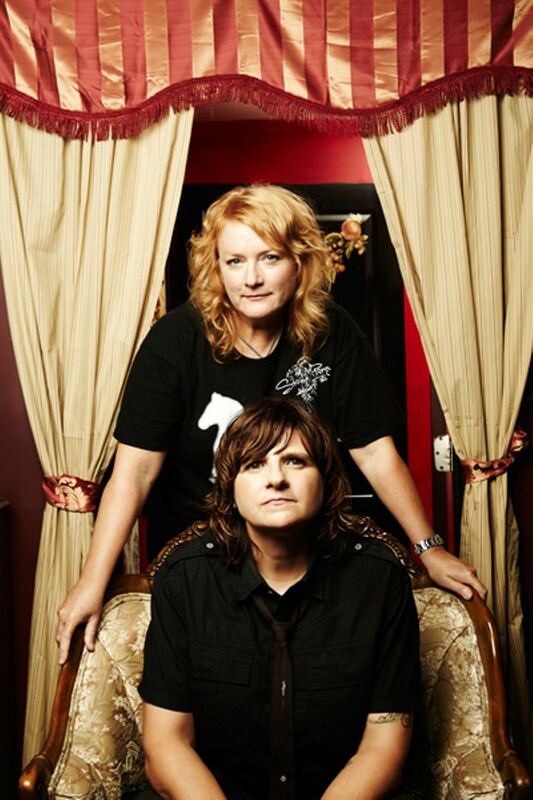 Ray and Sailers are scheduled to begin recording the new Indigo Girls album the first two weeks of October, after Ray returns from a three-city Northwest solo tour that includes stops in Seattle, Olympia and Portland. 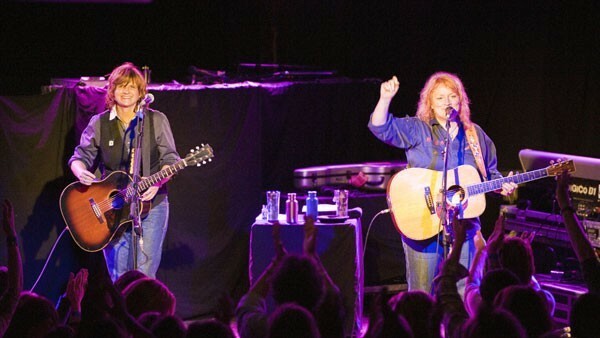 The Indigo Girls will perform in Bend for the Northwest Crossing Hullabaloo in the midst of a mostly West Coast tour with Joan Baez. Ray says she isn't sure if Baez will join them for the Bend show. While the band's last stop before reaching the West Coast is Knoxville Pride, Ray says she didn't know that the show in Bend is just a day before Central Oregon's own Pride festival. "There's so many Pride festivals now," Ray says. "I still enjoy it; I still think it's important." These days, the Indigo Girls' fan base among lesbian and bisexual women is the stuff clichés are made of, but Ray says she is deeply appreciative of her fans' loyalty and enthusiasm. Recently, a video of a large group of fans singing "Closer to Fine"—easily one of the band's most popular and most requested songs—at a subway station after a show went viral. Ray says she saw the video the same night. "I'm grateful for it, it definitely keeps us motivated to do our best," Ray says. "Our audience also tends to be pretty active in the world. In that way, we're exposed to a lot of engagement." She says she stays connected through letters from fans and by keeping up with social media. Ray and Saliers are also active in a number of social and political causes. Their website promotes a long list of organizations they support, including international, women's, workers, media, LGBT, environmental and Native American causes. But Ray's number one cause these days is her 7-month-old Ozilline (named after her mother and grandmother). It's a lot to juggle, but she says she wouldn't have it any other way. "I'm just flying by the seat of my pants right now," Ray explains. "I love having a child, I've wanted one for so long...It's tiring but also energizing. New life brings new energy for sure." Indigo Girls at Hullabaloo, Northwest Crossing.